Question Of The Day: Do Your Pets Understand You? Question Of The Day: When Did You Stop Believing In Santa? SPOILER ALERT: Santa isn’t real! Hedgy Claws, however, is real. Believe in the power of the hedgie. 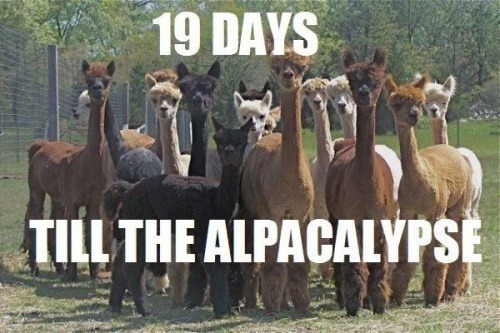 13 more days till the end of times! Since the end of times is like, almost here, we might as well have a little fun with it. You know, like the last time the world was ending. Question Of The Day: Is The World Really Ending On The 21st? Chistmas is coming! It’s time for nog and peppermint mochas and gingerbread everything, right? I have had gingerbread lattes at least 3 times this weekend and I’m not even sorry. Question Of The Day: Can You Tell Us 5 Things On Your Christmas List? Howdy, Buzznet! Are we all ready for Turkey Day? Have you earned your Turkey Day Badge yet? If you haven’t, find out how you can earn it by going here: Turkey Day Badges! Question Of The Day: What’s The Worst That Could Happen? Question Of The Day: Feel Better, It’s Monday! Question of the Day: How Do You Distract Yourself When ….? Question of the Day: Do People Treat You Differently Because You’re Single/Partnered? Greetings! First, Happy Election Day, America friends. Go vote! Well, if you can. I know some of you can’t because of reasons. 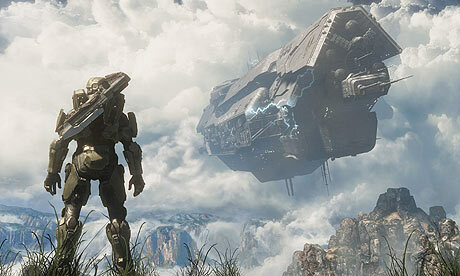 Also, Happy Halo 4 Day! Question of the Day: Do You Act Your Age? I am not even sure that I like this QOTD. I guess that is mostly because I am not even sure what I am “supposed” to be doing with my life right meow.